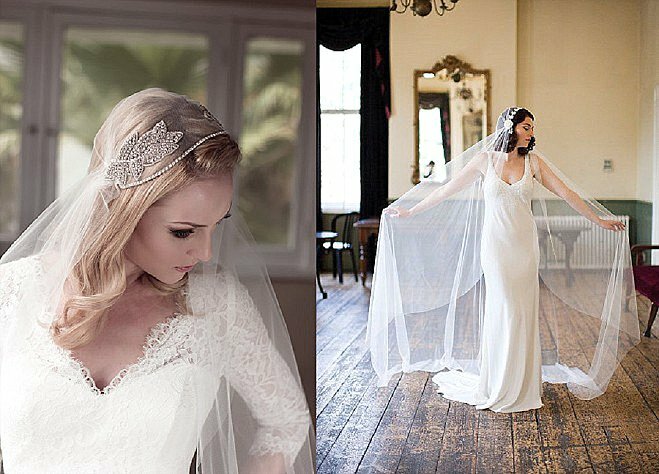 Juliet veils can be worn neatly atop a sleek updo for the more traditional, or over cascading waves for the bohemian bride. 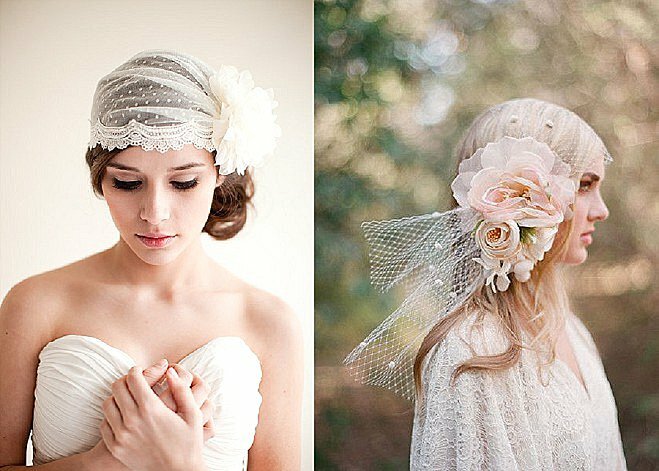 They come in variety of styles and lengths and can be delicately cinched with beading, embroidery and embellishments, or just a simple knot. 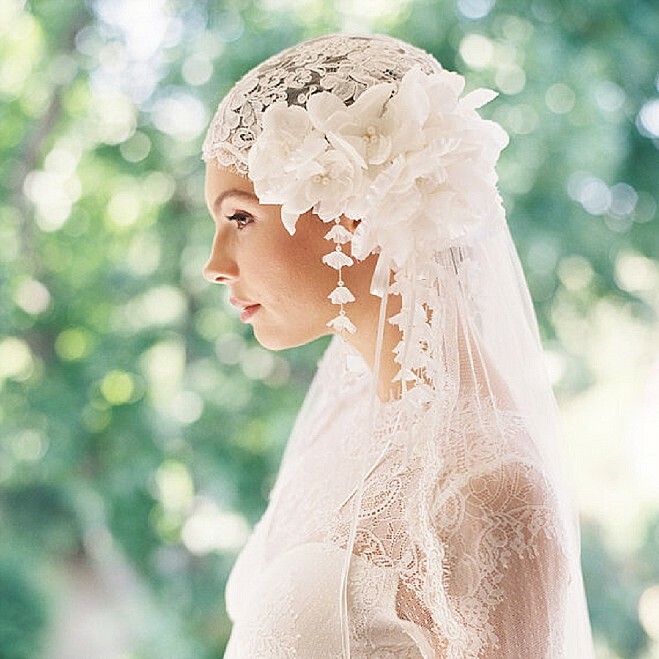 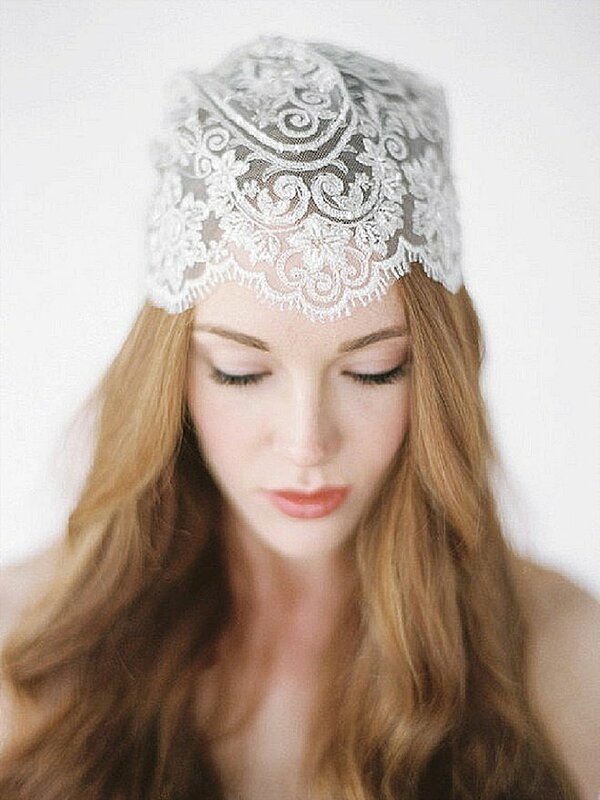 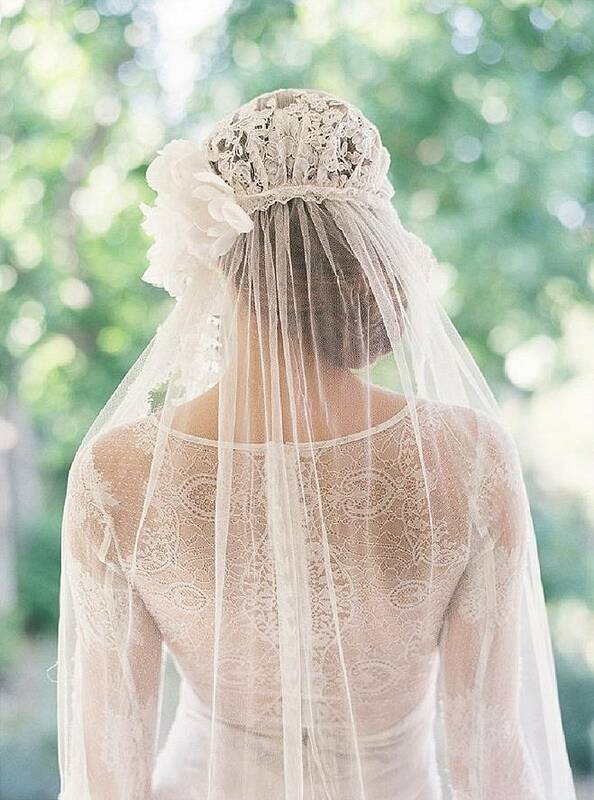 The classically romantic juliet veil will most certainly add that touch of whimsy to any wedding day look.